The light-filled apartments "Gamsnest", "Murmelbau" or "Adlerhorst" offer space and comfort for 2 to 8 persons. The design combines high-class ambiance with typical alpine coziness. 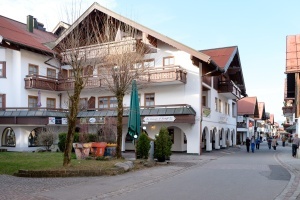 The holiday home “Ferienwohnungen am Marktplatz 5”, with three exclusive apartments, welcomes you to the charming market place of Oberstdorf. Enjoy the amenities of the central setting of the apartments where the possibilities are endless. 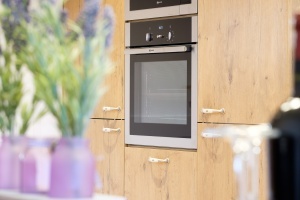 Enjoy delectable meals at the hotel next door or shop at local cheese shops or the "Bauernmarkt" (farmer’s market): ride up with the Nebelhorn gondola to the Nebelhorn summit – you’ll live in style in the heart of Oberstdorf. The clocks run slower in Oberstdorf and therefore it’s a pleasure to soak in the rural lifestyle. Stroll through the charming alleys with their little shops, cafes and traditional restaurants. You determine the rhythm of your vacation: whether an early start onto the mountains or sleeping in and enjoying a relaxing breakfast on your own mountain-view balcony. Certainly, with the apartments directly located at the market place, you will always have the best starting point for a perfect holiday. Because you will be situated in our quaint village, you can leave the urban flair behind. Enjoy the village life in all its facets. From the breathtaking views of the landscape to the Rubihorn or Grünten Mountains, will never forget that you are in the middle of the Allgäu Alps. 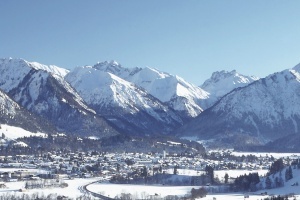 As a guest of our apartments "Gamsnest", "Murmelbau" and "Adlerhorst" in the center of Oberstdorf, you will receive free daily tickets for the mountain gondolas in Oberstdorf and the nearby Kleinwalsertal (Nebelhorn, Fellhorn, Kanzelwand, Söllereck, Walmendinger Horn and Ifen) in the summer months between May and October. That is a saving of more than 37,00 €. The mountain railway at the Nebelhorn is reachable in less than 10 minutes by foot.